At 11:46 AM CDT, look for the Moon to take a ‘bite’ out of the Sun’s disk. 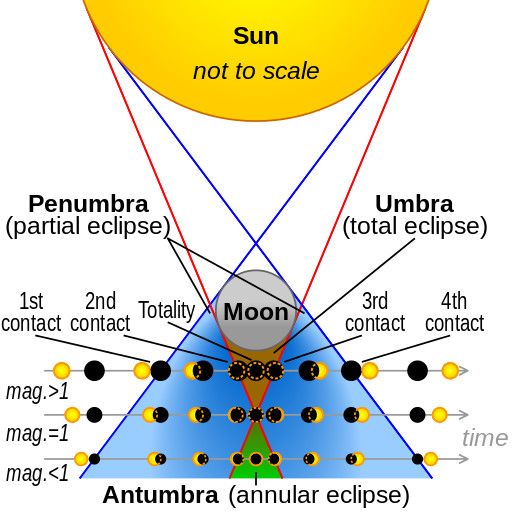 The Moon covers the northern (upper) limb of the Sun, since we are south of the path of totality. 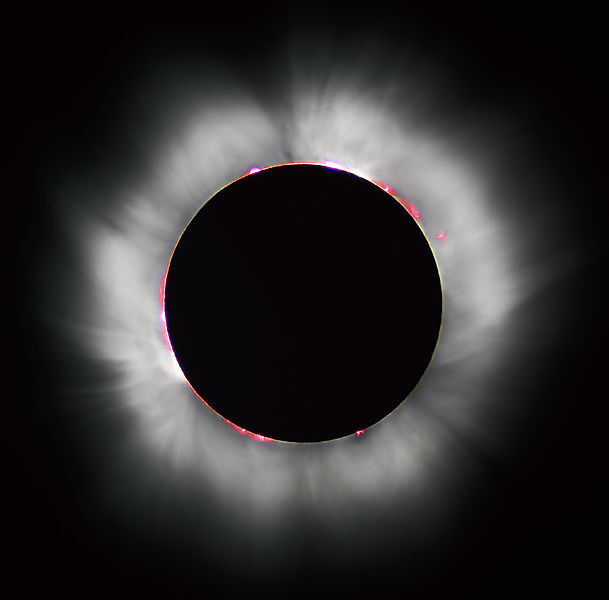 Maximum eclipse, when the Moon covers almost 2/3 of the Sun’s disk, is at 1:16. At 2:45, the Moon no longer blocks the Sun. After this, we won’t see our next partial solar eclipse in Houston until Saturday, October 14, 2023. The Houston Museum of Natural Science is an excellent place to observe this eclipse. We have invited volunteers to set up solar telescopes at both of our campuses, in Hermann Park and in Sugar Land. Each telescope will be filtered to offer you a safe view of the Sun. Also, the Burke Baker Planetarium will offer a special schedule on August 21, featuring six 15 minute shows about the eclipse. These will run at 12:00, 12:20, 12:40, 1:00, 1:20, and 1:40, and tickets will be $4. Then our 2:00 show is a special Starry Night Express featuring a live feed from Casper, Wyoming, with Museum staff in the path of totality. Obviously, much of this depends on the weather, as we must be able to see the Sun to see the eclipse. But our special planetarium shows, including the live feed from Casper, go on rain or shine. Even if clouds prevent us from seeing the eclipse outside, you can experience it in the Burke Baker Planetarium. As we won’t see a similar event for six years, I hope you’re able to come out and join us on August 21! Caution: Never look directly at the Sun with the naked eye or through an unfiltered telescope. Permanent eye-damage will result.